President David Granger yesterday commissioned a new David ‘G’ school bus under the Buses, Boats, Bicycles plus Breakfast and Books (Five B’s) programme in Barima-Waini (Region One). Also commissioned at that ceremony, which was held at the North West Secondary School, were two other 15-seater school buses, bought by the Regional Administration to support the national ‘Every Child in School’ policy, according to a release from the Ministry of the Presidency. Speaking to students, parents, teachers and regional officials, Granger said that when he took office he immediately elevated education as a key priority area. “My first idea was that education was paramount for the children of Guyana. No more dropouts. We want to do three major things. One is to provide access, so that there are enough schools for you to get to within your respective regions. Second, we want to ensure that your attendance is as high as it could be. There is no reason for you to stay home simply because you don’t have transport and third is your achievement; that once you get to school, you do well. I like ‘A’ students,” he said. 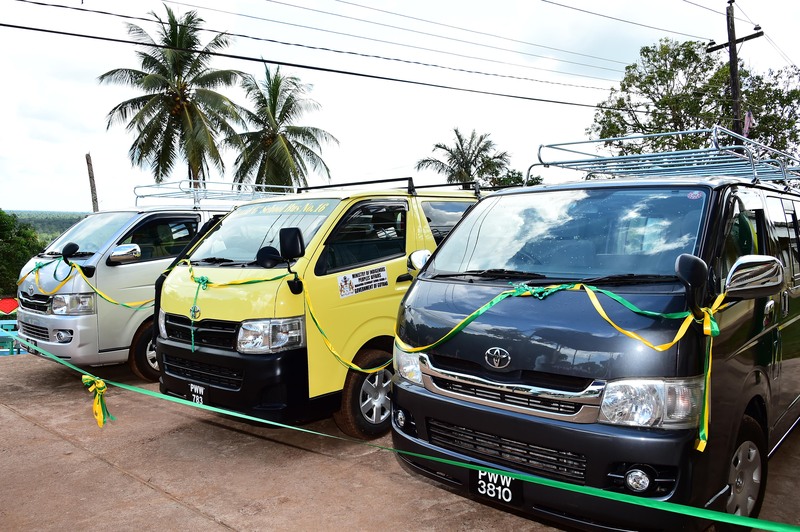 Regional Chairman, Brentnol Ashley said that the buses will be used to ensure that children in far-flung communities are able to get to school.